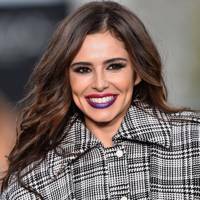 Cheryl Cole is an English-born singer who came to the limelight after competing on reality TV show Popstars: The Rivals, as a member of Girls Aloud. The group have been hugely successful and were nominated for five Brit Awards, winning best single for The Promise in 2009. Cheryl's fame rocketed further when she became a judge on Simon Cowell's The X Factor and she also released a solo album, 3 Words. She was named Woman of the Year by GLAMOUR in 2010. In 2011, Cheryl left the The X Factor UK to join the US version of the show but was fired shortly after amid rumours that American viewers couldn't understand her Geordie accent. Cheryl married Chelsea footballer Ashley Cole in 2006 but filed for divorce in May 2010 after it was alleged he cheated on her. She is currently dating One Direction's Liam Payne and has a baby boy named Liam Bear Payne.